Smiley was a pet of Caesar Clown. It was created by gathering and compressing the poisonous H2S gas that spread throughout Punk Hazard and using Vegapunk’s process of Zoan devil fruit animation to bring it to life. Smiley consumed the Sara Sara no Mi, Model: Axolotl, which allowed it to take on the form of an axolotl. It is also what gave Smiley life and sentience. However, given its unique composition, it is very likely that it could only assume a hybrid form and not a full-beast form. Monet was a scout and assistant for Caesar Clown and his underlings in the research facility on Punk Hazard. She had her original human arms and legs replaced with bird limbs, giving her an appearance resembling a harpy. 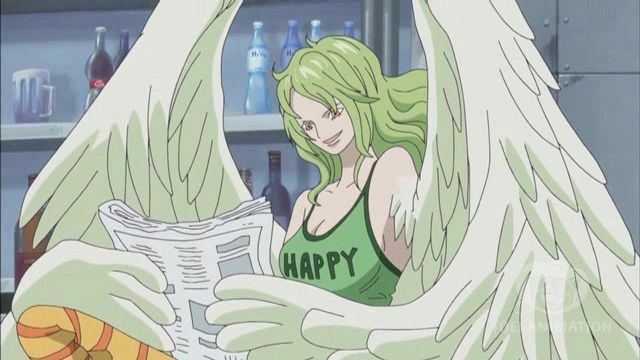 She was, in truth, a member and officer of the Donquixote Pirates and was sent as a deep cover agent by Doflamingo. She was also the older sister of Sugar. Monet ate the Yuki Yuki no Mi, a Logia-class Devil Fruit which allowed her to become and control the element of snow. She could produce and manipulate snow, forming solid snow barriers. She also had the ability to make someone fall asleep by hugging them with her icy body which causes their body temperature to lower and leaving them weakened. She could also trap her enemies in snow and transform herself into a huge snow monster. 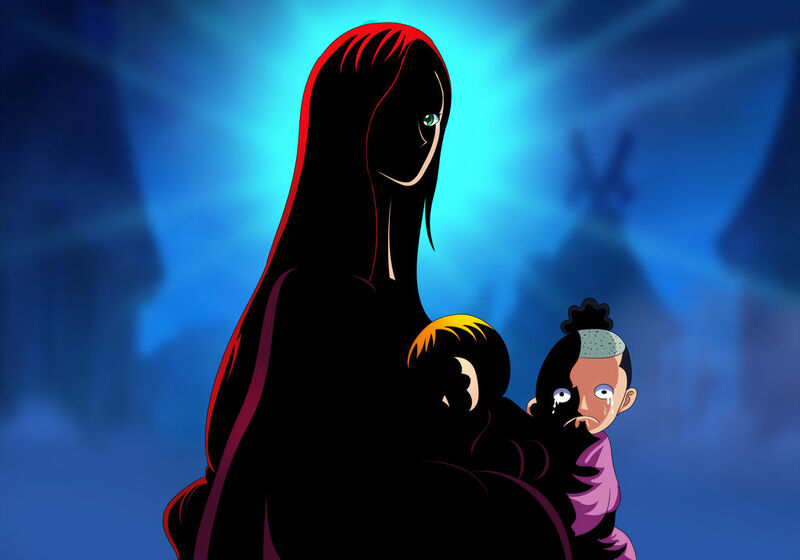 Mother Carmel was a child trafficker dealing in orphans who operated in the Underworld several decades ago, under the code name “Mountain Witch”. Running an orphanage known as the “Sheep’s House”, her seemingly benevolent nature caused her to be known as the “Holy Mother”. In reality, she sold her orphan wards to the World Government every two years to be trained as Marines or Cipher Pol agents, until she met her end 63 years ago. 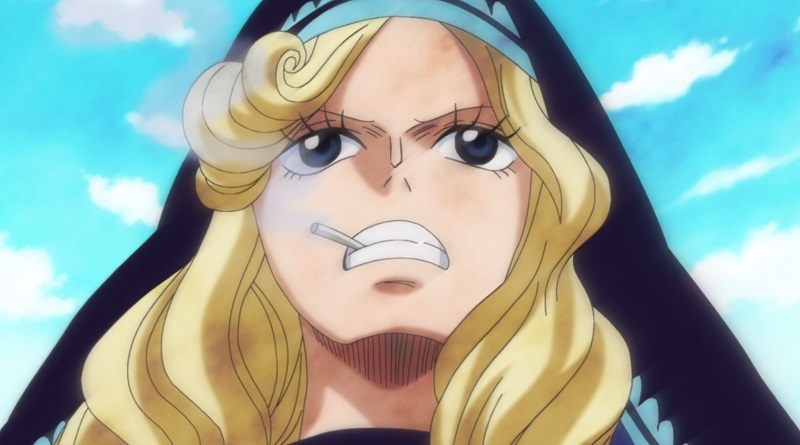 Notably, she took care of a young Charlotte Linlin, who would later go on to become the Yonko Big Mom. 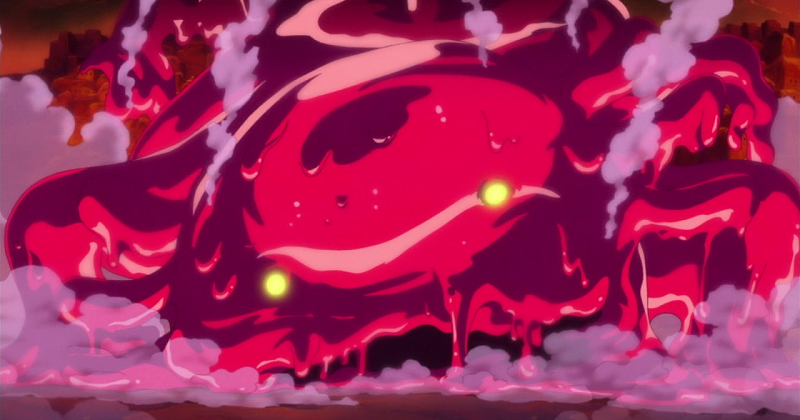 Carmel ate the Soru Soru no Mi, a Paramecia-type Devil Fruit that allows her to manifest and manipulate the souls of herself and other people. She was shown manifesting her own soul and putting a fragment of it in a rampaging fire to create a sun homie named Pandora, subduing the flames to save an Elbaf village. The powers of the fruit were later seen manifested in Charlotte Linlin after Carmel’s disappearance. Donquixote Rosinante was formerly a World Noble of the Donquixote Family descent and the younger brother of Donquixote Doflamingo. 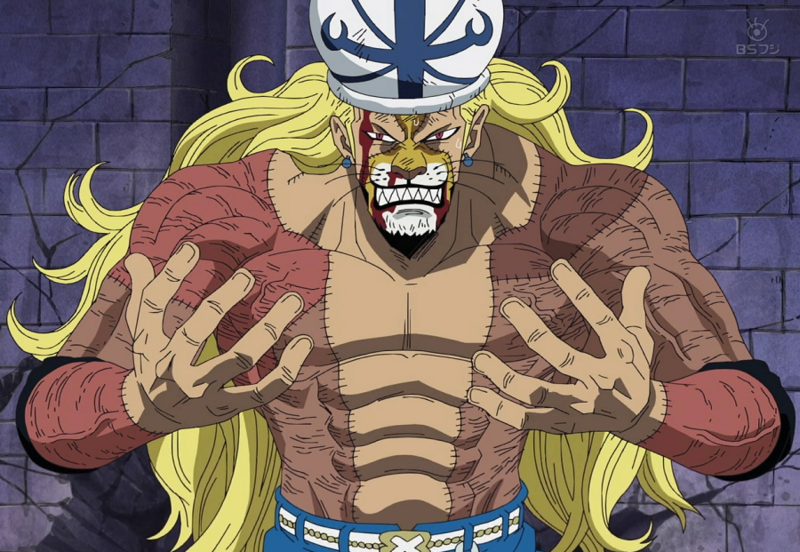 After his family lost their status as Celestial Dragons and became pariahs, Rosinante became an Elite Officer of the Donquixote Pirates, serving under Doflamingo under the codename Corazon. The truth, however, was that he was a Marine Commander, working undercover in order to stop Doflamingo. He was found out by the former Corazon, Vergo, and was executed by Doflamingo 13 years ago. Rosinante ate the Nagi Nagi no Mi, that granted him the power to create an invisible soundproof field. Anyone inside the field cannot hear the sounds from the outside and vice versa. 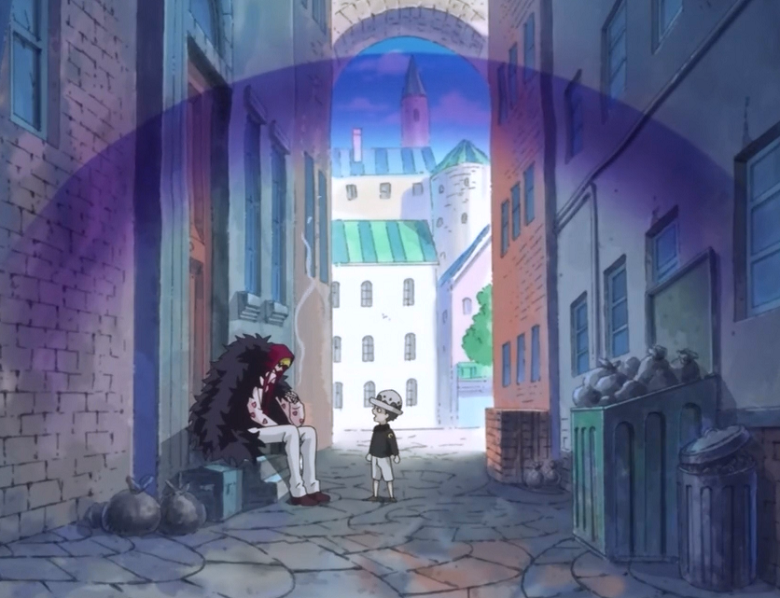 With this power he could deceive Doflamingo to make him think he was mute, since no one in the Donquixote Pirates knew that he had this ability. The use of this power gave him great advantage on his job of a Marine informant. Portgas D. Ace was the son of the late Pirate King, Gol D. Roger and his lover, Portgas D. Rouge. Ace was the 2nd division commander of the Whitebeard Pirates and one-time captain of the Spade Pirates. Hunted by the World Government for his lineage, Ace was captured and sentenced to death, which resulted in the Battle of Marineford in an all out clash of powers. Ace was freed, but he sacrificed his life to protect his younger brother from Akainu. 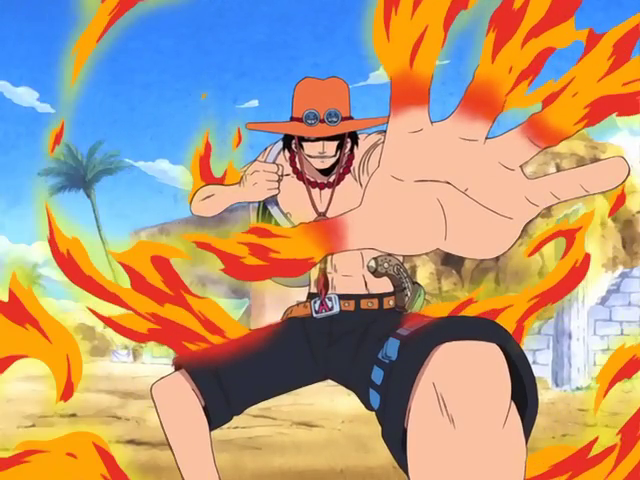 Ace ate the Devil Fruit Mera Mera no Mi, a Logia-type fruit that allows him to become the element of fire and control the flames from his body, giving him his reputation as “Fire Fist Ace”. His main style is to launch columns of fire by punching, with his signature “Fire Fist”. He is also immune to normal physical strikes, all of which will simply phase through his fire-composed body. 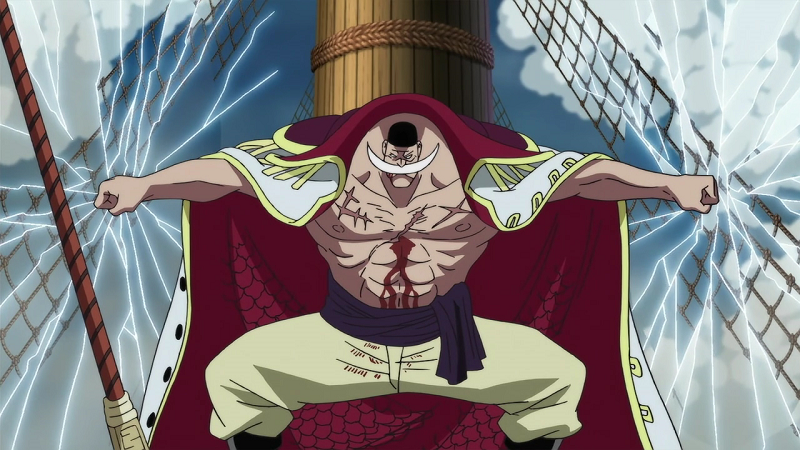 Edward Newgate, more commonly known as “Whitebeard”, was the captain of the Whitebeard Pirates and was known as “The Strongest Man in the World” and “The Man closest to One Piece” after Gol D. Roger’s death. He was a member of the Yonko that ruled over the New World until his death during the Battle of Marineford. 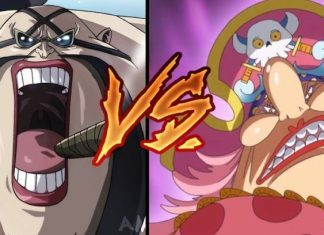 Whitebeard ate the Gura Gura no Mi, a Paramecia-type Devil Fruit that made him a “Quake Man” and which was considered the strongest Devil Fruit within the Paramecia class. 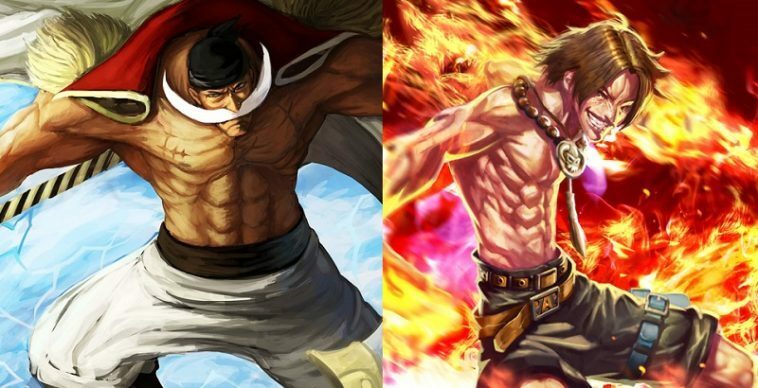 According to Sengoku, Whitebeard had the power to destroy the world. Soon after his death, the power of the fruit was extracted by Blackbeard through unknown means. Kozuki Toki was the wife of the daimyo of Kuri, Kozuki Oden, and the mother of Momonosuke and Hiyori. She was killed by Kaido 20 years ago. Toki ate the Toki Toki no Mi, a Paramecia-type Devil Fruit that enabled her to send herself and others forward in time. The greatest strength of the fruit is the user’s ability to transport out of dangerous situations by moving into the future, as shown when Toki transported her son and retainers to help them escape from the burning Oden Castle. It is impossible to travel into the past, meaning that all trips forward in time are irreversible. Absalom was the leader of the Zombie Soldiers and Zombie Generals of Thriller Bark prior to its collapse. He was one of the Mysterious Four and one of the major antagonists of the Thriller Bark Saga. Absalom ate the Suke Suke no Mi, a Paramecia-class Devil Fruit which gives him the ability to turn himself and other things invisible. Sometime during the timeskip, Absalom became a reporter under the alias Absa. At some point, he was abducted by the Blackbeard Pirates and apparently killed to poach his Devil Fruit powers, with his ability going to Shiliew of the Rain.